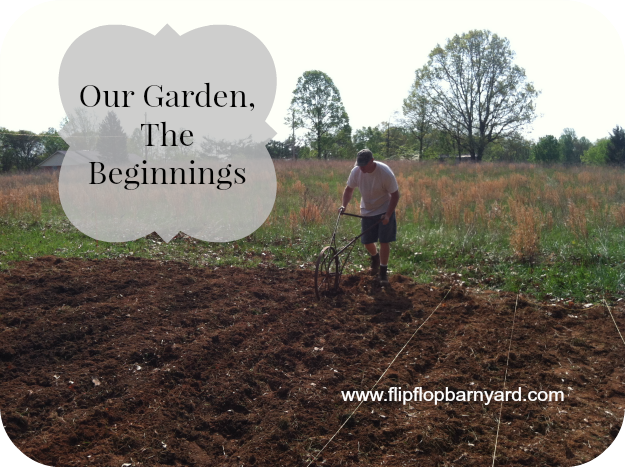 I guess I should begin with the first year we started our garden here, in Virginia. It was early April when we moved back from Florida so it was a good time to get started planting. We started out by fencing off a twenty five by fifty foot area in the pony field. Farmer Derek borrowed our cousin’s tractor (which is no longer in commission, bummer!) to break up the ground. 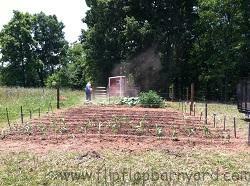 He then added lots and lots of composted horse manure and tilled it all in. We had some great looking and super rich dirt happening now! We decided what we wanted to plant and where to put them in the garden. We didn’t have time to start our own tomatoes or peppers, I was able to purchase some organic plants at our local Co-Op. 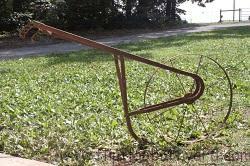 Farmer Derek used an antique hand plow that belonged to my great-grand parents in Oklahoma. I love being able to incorporate part of my family’s history into our homestead. 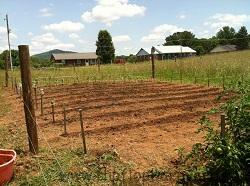 Soon all of our rows were ready for planting. 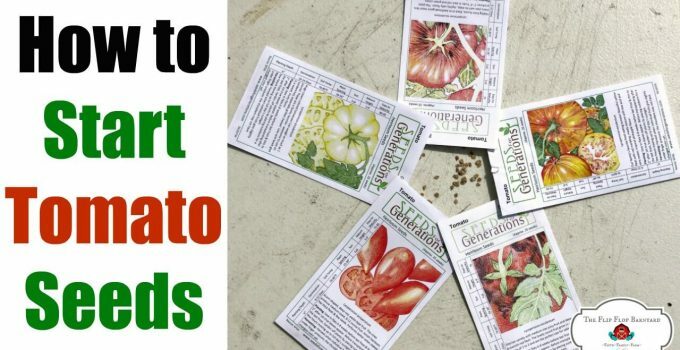 We planted a good variety of organic seeds. 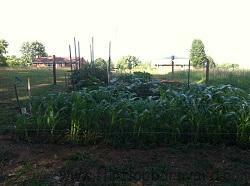 We had Green Beans, Okra, Yellow Squash, Zucchini, Cucumbers, Peas, Peppers, Tomatoes, Cabbage, Watermelon, and Cantaloupe. We were so excited and couldn’t wait to eat the fruits/vegetables of our labor. Pretty soon we had more squash than we knew what to do with. We were able to can a lot of Green Beans. 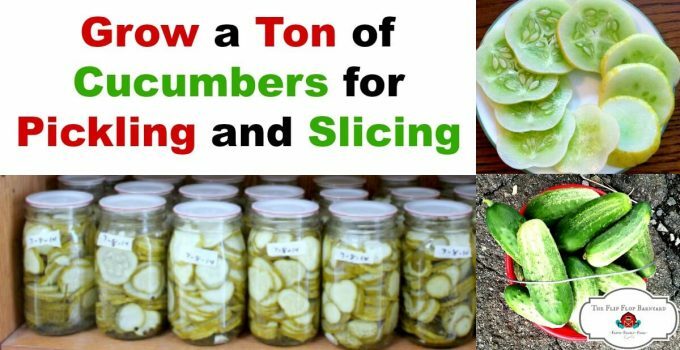 We also pickled peppers and cucumbers. We had a very successful garden for our first year. We were elated. 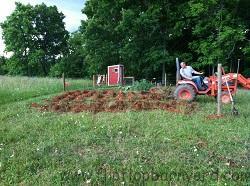 Our second year of gardening rolled around and I was due with Lydia so I wasn’t much help getting it started. My older brother and his wife had also moved back from Florida, they were living in the finished part of the basement while they looked for a house. We shared the garden with them that year. They planted Green Beans, Black Beans, Cucumbers, and Squash. We planted Cucumbers, Squash, Green Beans, Tomatoes, and Peppers. We had to purchase our tomato and pepper plants again as we were total slackers and didn’t get any started from seed. We also had an especially rainy season which caused some issues. Our green beans weren’t as productive as the first year and also had a terrible time with Mexican Bean Beatles (Little devils, as I like to call them). Our squash plants got big but then died before they produced. Looking back I feel quite confident that we had squash vine borers and didn’t know it. About the only thing that did well were our tomatoes and peppers. Quite honestly, the second year’s garden was a total flop much less productive than the first year. Living and learning, that’s what this is all about, right? More on this year’s garden to come. Thankfully, it is going great! I’ll write more about what we are doing this year and what we are growing now. That’s a total bummer! We had some get our zucchini this year. 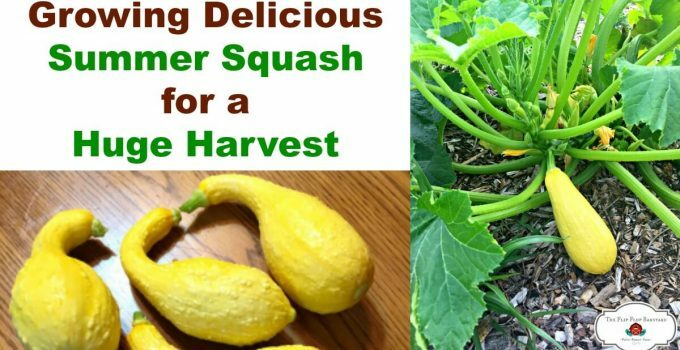 Our summer squash have done well but are starting to die off. 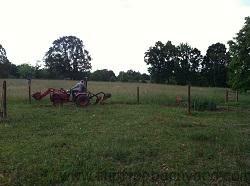 We have replanted some squash so hopefully we will get another harvest this season. Gentle Joy recently posted…Butterfly Experiments…. 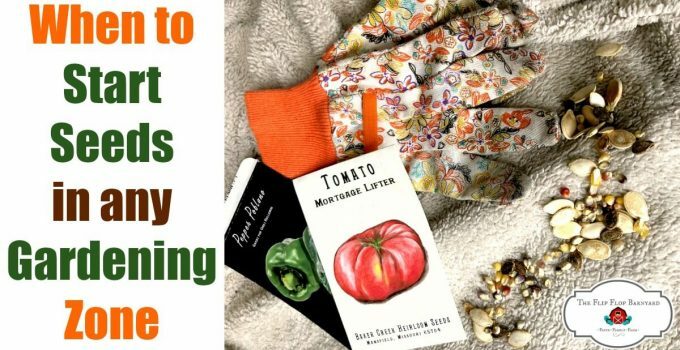 Stopping by from Green Thumb Thursday // Sounds like your garden is coming along nicely. I hope you get lots of yummy veggies + fruits from it this summer! Caitlin | belong with wildflowers recently posted…First Garden Harvest.